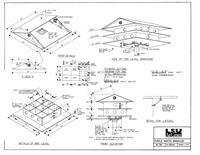 Building plans for a 1,164 sq. ft. living area, two-story, and three-bedroom house. 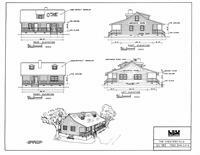 4 bedrooms, 1 or 1.5 stories, porch, post beam or concrete block. 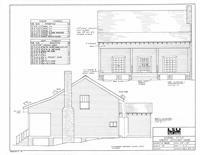 Plans for energy efficient, three bedrooms, two-story house in the Louisiana Acadian style.